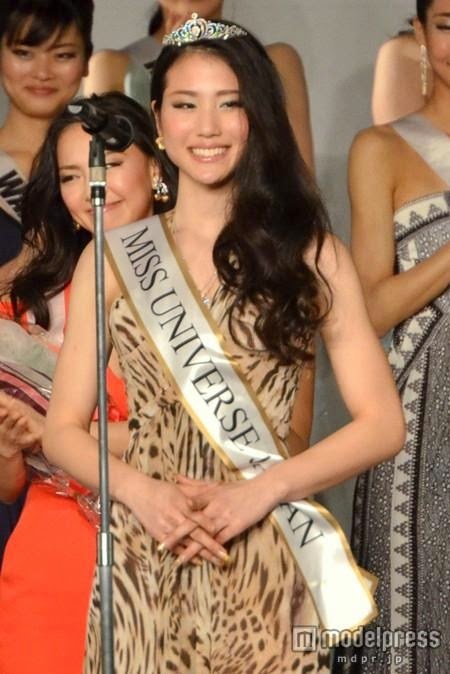 20 year old Keiko Tsuji from Nagasaki was crowned Miss Universe Japan 2014 at the conclusion of the annual event held at the Chinzanso Hotel in Tokyo last March. Tsuji stands 1.73 m in height and is a student of Japanese literature. She is also a teacher of origami art and will represent Japan in the 2014 Miss Universe pageant to be held later this year. Hiromi Nishiuchi was the first runner-up and Misaki Takahashi was the second runner-up.